Originally Submitted to FurAffinity.net on Aug 22nd, 2017 10:19 PM. Before it was transferred to Inkbunny it had 136 views and 13 favorites. Now there's something you don't see everyday. 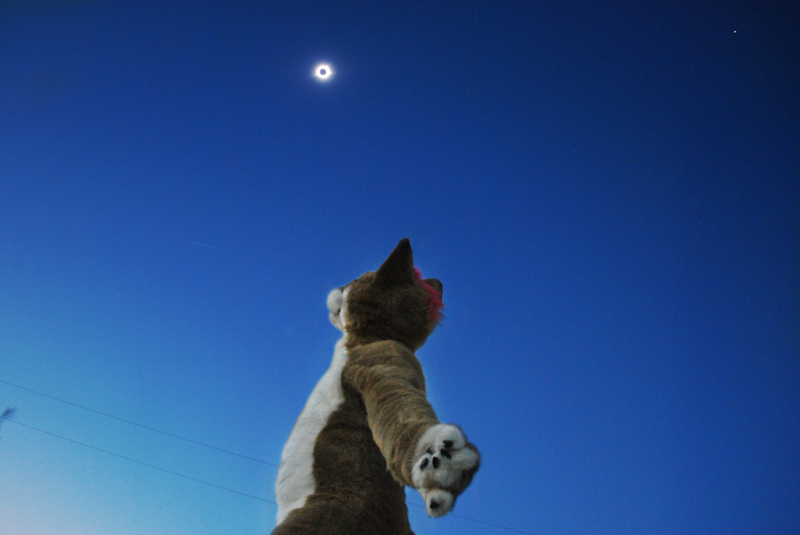 A shiba inu staring at an eclipse! This will be my only eclipse photo because I know how many of you are tired of seeing them. I was very happy on the way it turned out! Taken with a very old DSLR camera. Canon's first one to come out!